I searched for different traditional Stollen recipes, combined several parts from all of them to match my personal taste and then baked my first Stollen yesterday and finished them today. I've never done them before, so I don't know if they will be good. The Stollen are quite heavy; 1 kilogram each. But traditional Stollen are supposed to be rather dense, without a lot of air inside them. Now they need to "sweat" for about a week in order to create the typically moist and soft structure and a good flavour. At least that's the plan and I hope it will work. If they turn out to be good, I will of course post the recipe. Maybe next Sunday. 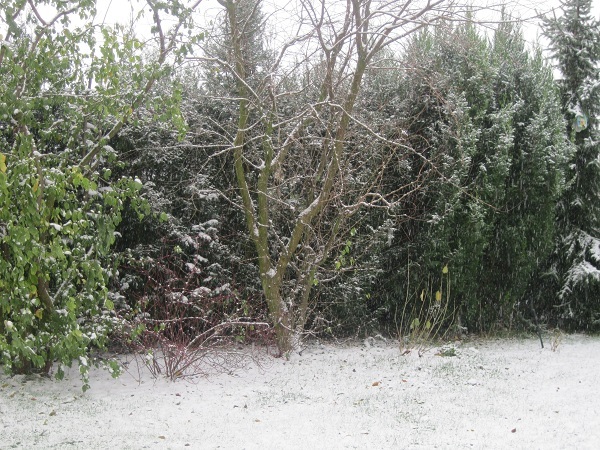 Thanks for sharing your lovely photos...looks like Christmas! I made ones last weekend too. They're really delicious. My hat off to you to resist to the temptation! Not having it for another week! Well done to you:) Mine was gone in a day...(one small loave anyway). And it's a good idea to combine the best of different recipes to create your own. You can buy stollen here in stores, but they are usually just sugary and dry. 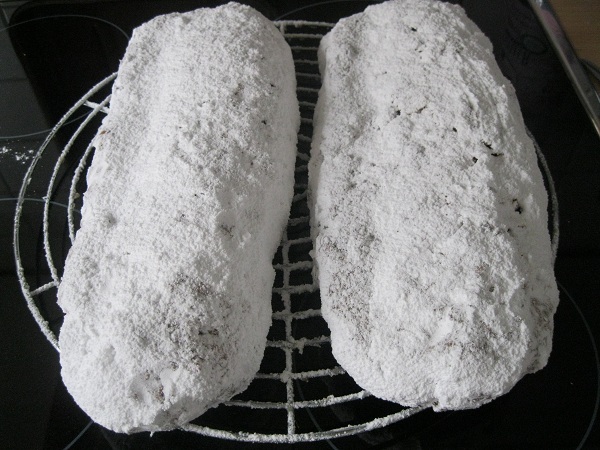 I'll bake my favorite Mohnstollen (Poppy Seed Stollen) for my family, and, for special order, together with Whole Wheat Stollen in the store. Thank you for your comments. I've cut the Stollen yesterday and have to admit that it needs some further adjustment. It has a very rich flavour and a moist crumb from the "sweating", but it is a little too dense. Not hard or anything, but just a little too compact, which doesn't give the right mouthfeel, since there isn't enough space between the raisins and other more solid ingredients (marzipan, candied lemon/orange peel, etc.). It is quite enjoyable, but not exactly what I wanted to have. So I'll give it another try this week and keep things updated.